Where Did Buyers Purchase New Homes in Placer County During 2012? Posted by Patrick Hake on Saturday, January 12th, 2013 at 2:24pm. A side effect of the tight inventory of resale homes in Placer County in 2012 was a marked increase in the number of new homes be constructed and sold. As home buyers found it ever harder to find an elusive resale home to buy, many turned to the new home builders. They found the process of purchasing a new home preferable to the often tedious task of battling it out for existing resale inventory with multiple offers, drawn out short sale processing periods and other unknowns. Purchasing a new home allowed them to walk into a model, find what they like, sign a contract, pick their upgrades, set a move in date and then move in after a few short months. While buying a new home may not always get you the steep discount that may be available on some resale homes, it does provide an orderly predictable fashion process from beginning to end. Because of their new found popularity, there were 192 new homes and under construction homes sold in Placer County in 2012 that were listed in Metrolist MLS. There were quite a few more sold outside the MLS as well. 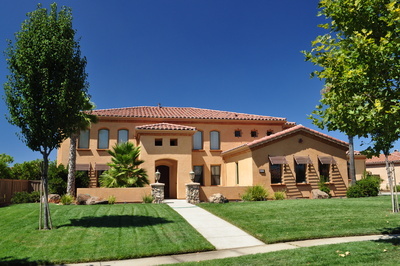 In 2012 buyers purchased 104 new homes in Roseville, 28 new homes in Rocklin, 43 new homes in Lincoln CA, 8 new homes in Granite Bay and 9 new homes in Auburn. The least expensive new or under construction home that sold in Placer County in 2012 was a 2,238 sqft home in Equinox at Lincoln Crossing in Lincoln, which sold for $177,000. The most expensive new or under construction home that sold in Placer Count in 2012 was a 7,328 sqft home on N Seville Cir in Granite Bay, which sold for $1,792,500. Thank you so much for everything. I can't tell you how impressed I am with your generosity and professionalism.